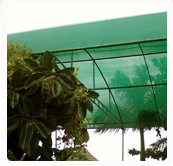 Agrocare India manufactures various types of shade nets that can be used for various purposes. Endeavor of our production team help us to produce a variety of shade nets that provides you strong protection. At present, we are manufacturing shade nets for following applications.